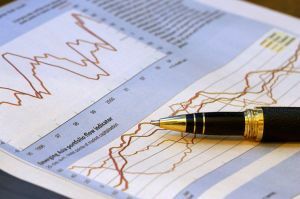 Why you should stay away from binary options trading, what you need to know. is greater than you think. Simulated trading programs – the first shortcoming of binary trading options is that there are few simulated trading programs for traders. As such, simulated trading support is essential and must be provided by brokers. As a result of this, traders jump into the binary options trading market without any training. Hence, they become more prone to losing money. Trading tools – most of the brokers do not offer their clients with trading tools like charts, technical analysis tool etc. Newly employed traders have a hard time accessing trading tools. Stipulated time period – transactions in a binary option trading scenario take place within a short time duration. This means that you will have to constantly keep a check on market movements so as to save your investment. Apart from that, volatile and irregular price movements also tend to affect the amount of profit you can generate. No liquid assets – Binary option trading is generally based on assets that are not liquid. Hence, converting such assets into cash is no less than a tough task. That is the reason why traders have to wait for the expiry of their contract time and thus it becomes equally difficult for them to dispose the assets off. Loss of trades – One of the biggest pitfalls of binary option trading is that when in loss, traders will tend to lose more money than what they gain when they are in profit. That says it all! Rewards will by and large be fewer than risks. Trade mistakes – correcting trade mistakes in binary options trading is one major setback. In traditional trading, all that is needed to correct a trading mistake is to open another account that will more or less generate more profit than the previous account. However, in binary trading, this opportunity is not available. Expensive – binary options are quite an expensive financial instrument. You must have enough money before you can make desirable profit. 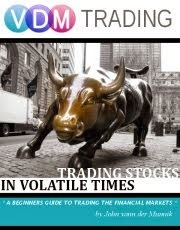 VDM Trading is here to help you make sound investments. Hopefully you understand after reading this article that a game of roulette has the same profitability (if not higher! It's been calculated that an average option broker has 55% in its favor) than this elusive trading instrument. Don't waste your time and money! Well said, about binary options broker and their tradings. Binary options trading ebook coming soon, 'Dangers of Binary Options Trading'..